If you're an experienced dancer and want to learn more about authentic contemporary Egyptian stylization, don't miss your chance to study with a local master of the art, Amani Jabril! This Saturday from 10 to 12 at Atlanta Fusion Belly Dance, Amani offers "Egyptian Basics for the Advanced Dancer! Technique & Combinations." This class will focus on giving the advanced belly dancer insights into the techniques used by Egyptian dancers and creating that silky, yet powerful “Egyptian” styling. 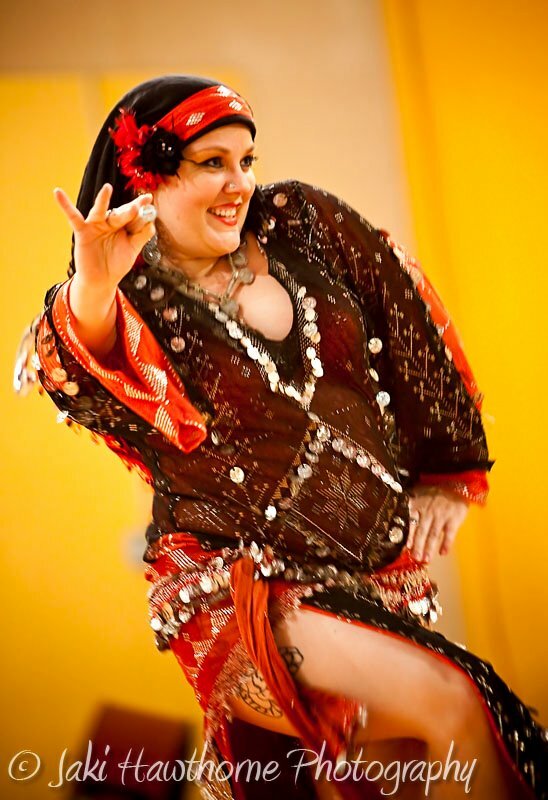 Created from Amani’s own experience performing and studying Raqs Sharqi in the Middle East, the class will focus on detailed aspects of the movements – namely, posture and carriage, timing, footwork and that unique Egyptian use of muscular movement to power the dance. This workshop is a follow-up to Amani's session in April -- if you attended that workshop, there's a $5 discount on the $35 price of admission to this weekend's class. Pre-registration is required -- click here to reserve your spot! This Weekend's Events -- It's All Happening in Athens! As many of us recover from the amazing Crossroads & Origins event last weekend, it's going to be pretty quiet in the metro Atlanta raqs community this weekend. But there's a lot going on a short drive away in Athens at the Mid-Summer's Dance Party and Workshops, hosted by Sulukele Bellydance and Christy Fricks. Saturday evening, GO Bar will host a dance show followed by live drumming beginning at 8 p.m. Performers will include Jahara Phoenix, Marcus, Christy Fricks, Sukari, Evadne, Sulukule, Stephanie Leslie & Co., Jenny Moss, Misty, Miss Mongoose, Sarah, and Mwanabahari! Show tickets are just $5 in advance, $7 at the door. Pre-register online here: http://www.floorspaceathens.com/wp/events/midsummerdanc/. Or visit the Facebook event for more info! Tickets are still available for what will be an amazing show on Saturday, July 14 in Avondale Estates! The centerpiece of the Crossroads & Origins weekend intensive will feature performances by all three workshop instructors, as well as some of the most amazing talent from throughout the Southeast. The show is at Academy Theater in downtown Avondale Estates. Doors open at 7:00 and the show will start at 8:00. Click here to get your advance tickets for just $20! 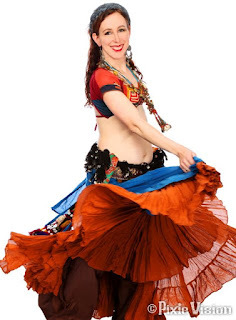 If you're a student, teacher, or performer of American Tribal Style®, I seriously expect to see your smiling face in the audience, because we'll have a rare chance to see original FatChance member Rina Orellana perform el baile flamenco. Admit it -- one of the most awesome things about ATS is that you get to pretend you're a Flamencita during many of the slow moves! If you've experienced Donna's workshops, lectures, and performances at TribalCon and other events, you'll know that any and all of the above can be a truly significant moment in your life. 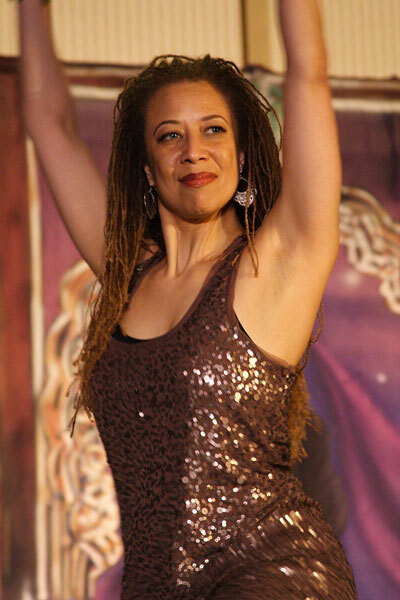 To me, one of the most wonderful things about Donna is that her work as an educator has helped bring belly dance -- and tribal fusion in particular -- into the overall world of dance, and drive respect for the form throughout the dance community. Oh, and her performance are electrifying! 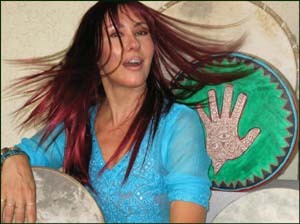 A legend of both 1970s and contemporary belly dance who has been performing since her teens, Lee Ali is a unique performer, teacher, musician, lecturer, and community leader who rarely visits our area. She is an expert in Greek, North African, and trance forms, as well as classic raqs sharqi. I hear that Lee will present a classic 1970s raqs routine, taking us back to the golden era of the Middle Eastern clubs that had their epicenter in North Beach.